The HP12U professional headphone amplifier features two stereo input channels and six stereo output channels, each with two headphone outputs. Easily monitor your analog or digital equipment—without rewiring your headphones—by switching between Inputs A and B. 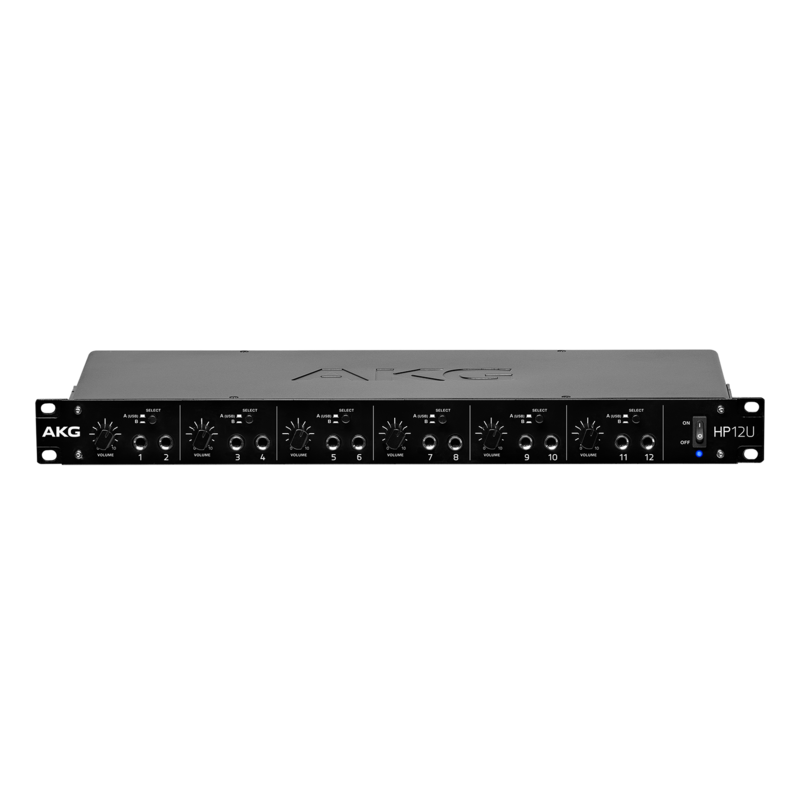 If you need even more channels, simply connect multiple units. You can also use the HP12U as an external sound card by connecting Input A to your computer via USB. Encased in a sturdy 19” metal chassis with integrated power supply, this great-sounding, professional-grade headphone amp is built to last.